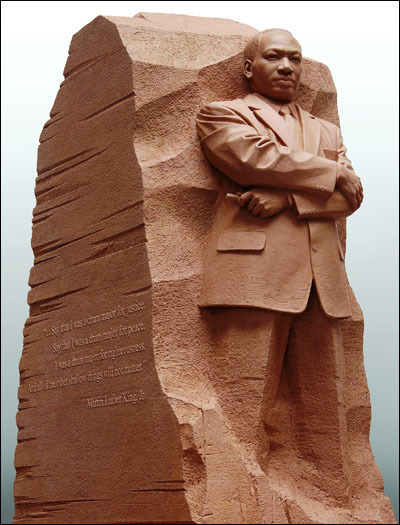 The Martin Luther King, Jr. National Memorial was an idea created by the Alpha Phi Alpha Fraternity to erect a monument of the late civil rights leader. The fraternity wanted to build something after his death, and their efforts gained momentum in 1986, after King's birthday was designated a national holiday. The project cost a reported 120 million of which 108 million has been raised. Construction of the memorial began in December of 2009. King is the first black man honored with a memorial in the National Mall area and the third non-president.